Preparations for the 2022 Olympic and Paralympic Winter Games have reached a key phase in which the construction of most venues has started and the focus has shifted to operations and management of the venues. "Good operation of the venues is the key to ensure the Games go smoothly, " Zhang Jiandong, a vice-mayor of Beijing and executive vice-president of the Olympic organizing committee, said on Thursday during the ongoing meetings of the 13th National People's Congress, the country's top legislative body. Zhang sees 2019 as a key year to prepare for the 2022 Winter Olympics for both Beijing and Zhangjiakou, Hebei province, the two co-hosts. "In this year, we will operate the venues on a trial basis to know its conditions and make plans on how to equip them with appropriate facilities and equipment," he said. 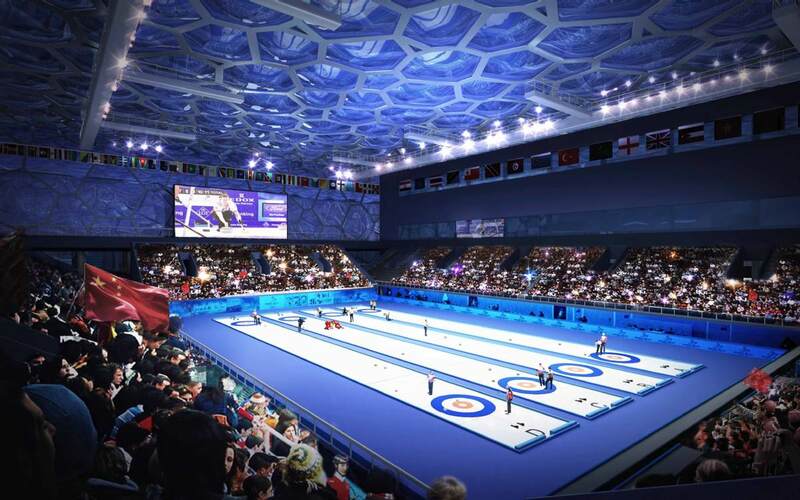 Meanwhile, the construction and renovation of venues will continue, including building ski runs and snow-making systems at an Alpine skiing center in Yanqing, a district in the city's northwestern suburbs, and renovating two major stadiums in Beijing, Zhang said. "The center for Alpine skiing will meet the requirements for holding test competitions in October, while other venues will reach that stage next year," he said. Starting in February 2020, a series of 20 test events for the Winter Games will be scheduled, running through the first half of 2021. Seven of those will be held in Zhangjiakou. Zhangjiakou, which will host most snow events in 2022, has begun construction on 65 projects related to the Games, including venues and supporting infrastructure, said Wu Weidong, mayor of Zhangjiakou and an NPC deputy. To reduce the impact of changing weather on competitions, especially the ski events that are easily influenced by weather, authorities are building multiple meteorological stations in Yanqing and Zhangjiakou, to provide precise weather forecasts. "The meteorological data will be monitored every 10 minutes and every 100 meters," Zhang said, adding that the work is underway as requested by the International Olympic Committee. All venues for the Games have been ordered to use clean energy, "as we must fulfill our promise to host a green and sustainable Winter Olympics", Zhang said. Preparations for the 2022 Olympic and Paralympic Winter Games have reached a key phase.